James Lovegrove is returning to his New York Times bestselling Pantheon series – which has sold over 100,000 copies worldwide – where gods are made real and men have to contend with their rule. The latest stand-alone title in this action-packed military SF series takes you to the Caribbean, where paradise isn’t exactly what it seems and a world lurking beneath the surface is waiting to be unleashed. Lex Dove, retired British wetwork specialist, is quietly living in the Caribbean when he gets the call: one more mission where the money and risks are high. 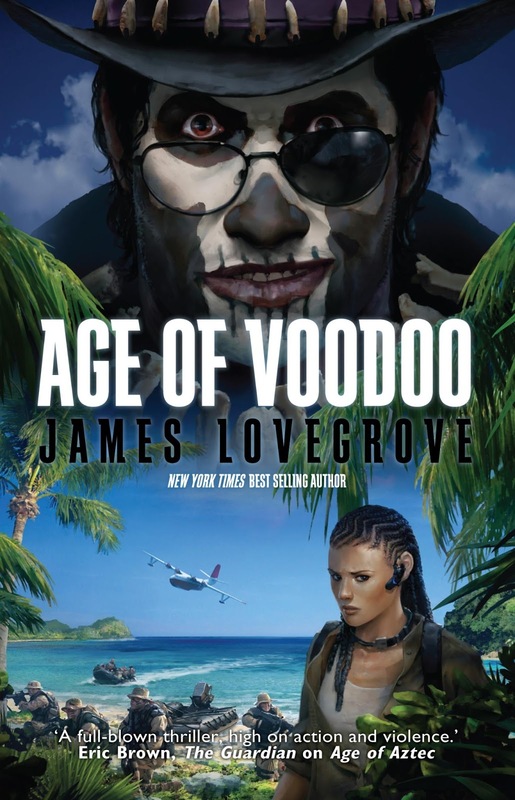 But he didn’t think that leading a US black ops team to an abandoned Cold War bunker would lead to the discovery of barely human monsters, created in a disastrous mix of science and voodoo. But if they can’t stop the clock, if they can’t contain the god deep in the earth, then those monsters are the least of their problems – because if his anger is released, the world might not survive it!